It is COLD here in Iowa. We have had some days that without windchill it was -20. Yes, that is not a speck on your screen, that negative sign is correct. When it is that cold, I just want to stay in and never leave (well until Spring). So when case-ing this card I decided I was So ready for some sun and warm weather. 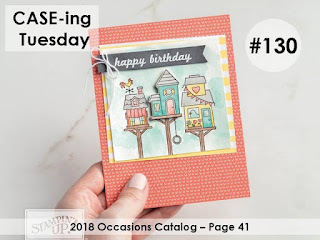 I just love the colors and that embossing folder in the background. 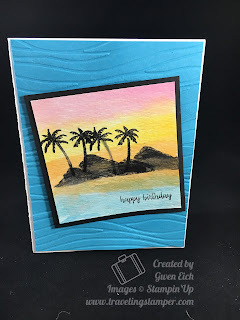 This card makes me think of warm weather, sand, and fun in the sun. If you have any questions on the dimensions or how it was made please let me know. 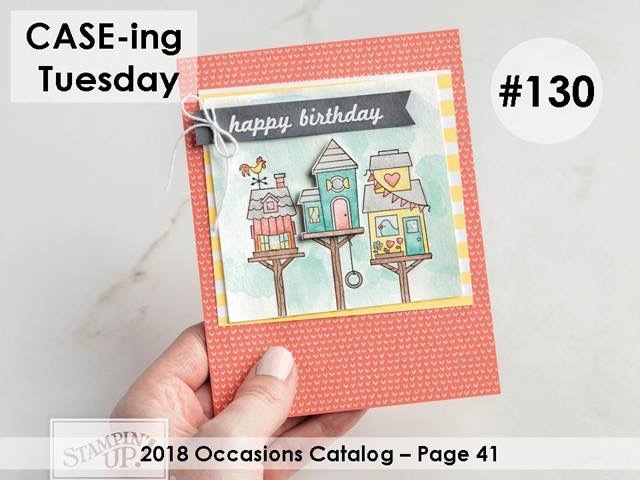 Better yet, stop on over to my Stampin Up website and order from there.